The supermarket shelves are full of packets, pouches and sachets of sauces and seasonings all vying for our attention and hoping to make cooking at home that little bit easier, however I often find them to be fairly bland or tasteless. The team at Blue Dragon consistently produce well flavoured products to help me get a tasty stir-fry to the table quickly so when I spotted their new Season & Stir pouch on the shelf of my local Morrisons, I had to put it through its paces. The Season & Stir pouch could be called the 'Idiot's Guide to Chinese Cooking' because it is the simplest product that I have seen that delivers an authentic taste with almost no effort what so ever. 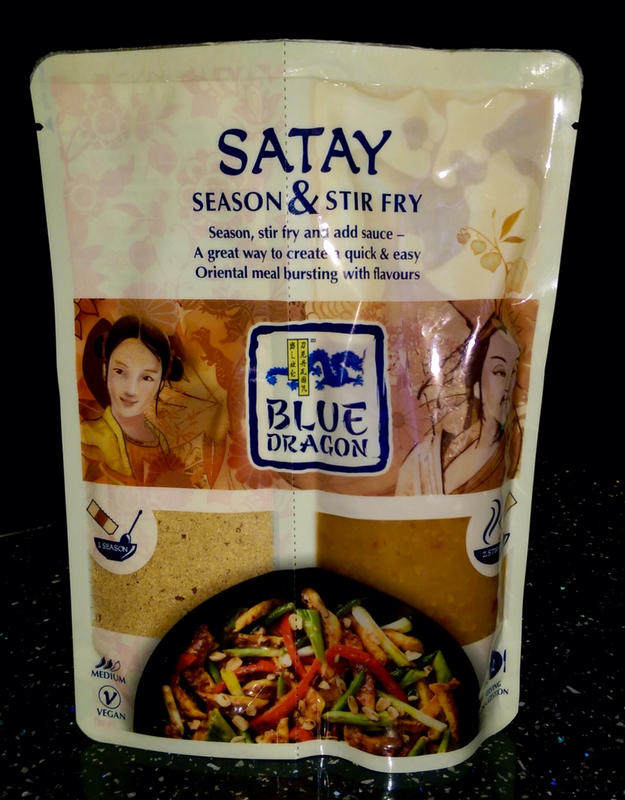 The product comes in four flavours, Chow Mein, Chinese BBQ, Sweet Chili, and Satay and consists of a dry powder seasoning that is used to marinate the and a pouch containing enough sauce for two servings. 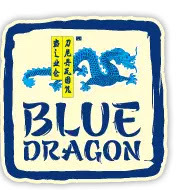 Blue Dragon Season is priced about £1.20 per pack but you might find it on offer if you look about. 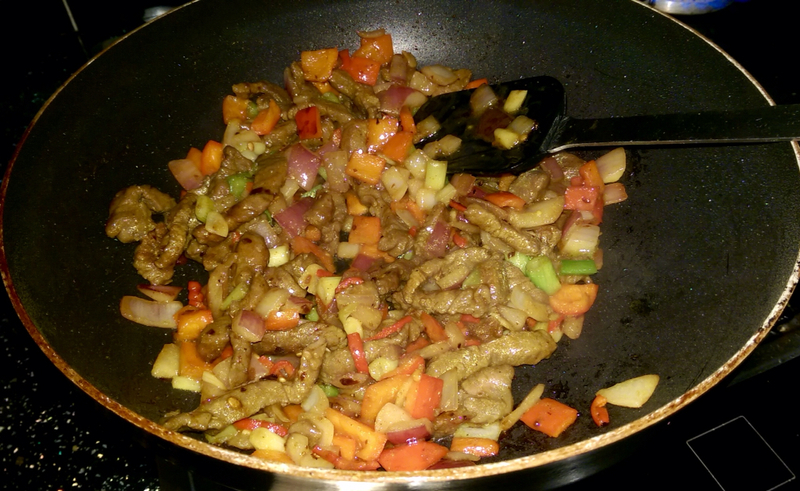 As with any stir fry, you can use whatever vegetables and/or meat that you like. I used a 300g sirloin steak cut into thin strips which were then coated in the dry powder seasoning. I left this for fifteen minutes whilst I chopped up some spring onion, red pepper, red chilli and an onion before stirfrying then all together. Once the beef was cooked through and the vegetables were beginning to soften, I added the contents of the sauce pouch and cooked for a further three minutes. 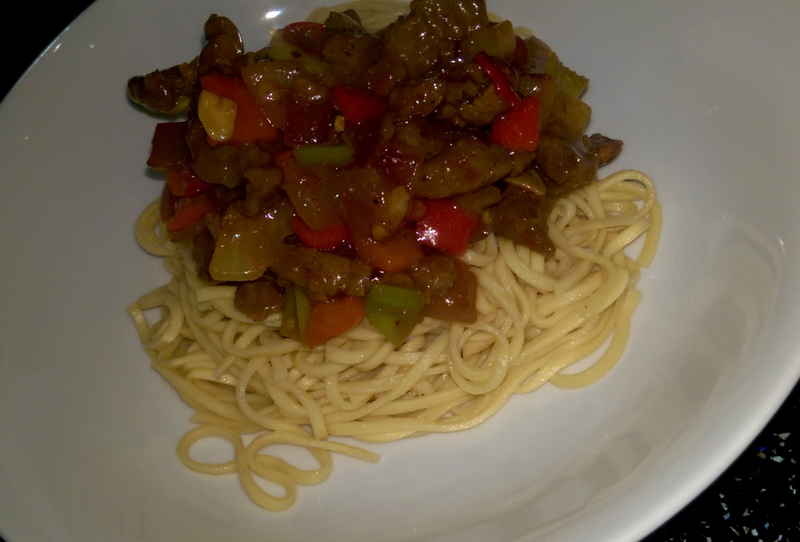 I served the beef satay over some egg noodles that I had seasoned with sesame and chilli oil. So there you have it, dinner ready from fridge to plate in about twenty minutes - it was that easy. The satay sauce tasted as good as any that I've eaten in Chinese restaurants and had a sneaky little fiery kick at the end of every forkful. I've been using Blue Dragon products for a number of years and can honestly say that this is my favourite product so far. In fact, I have already bought in a few more packets to keep in the cupboard for emergencies.